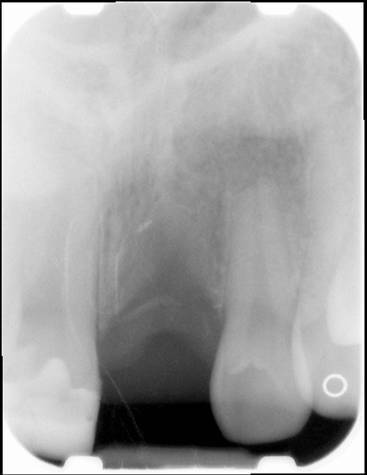 This person suffered trauma and lost the front tooth and its surrounding bone structure. 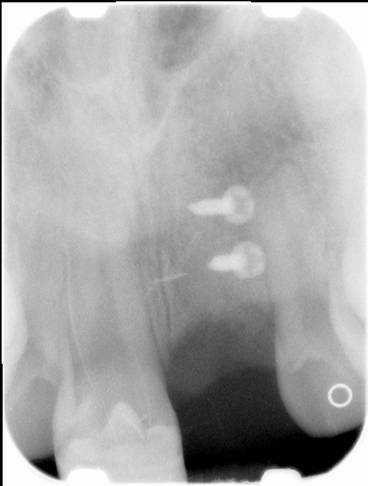 An autogenous bone graft was secured. 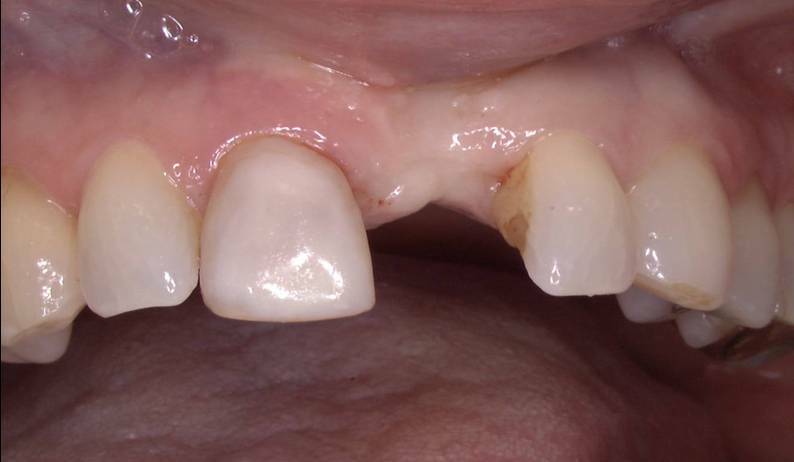 A dental implant was placed about 6 months later, and the final crown and restorations restored the smile. 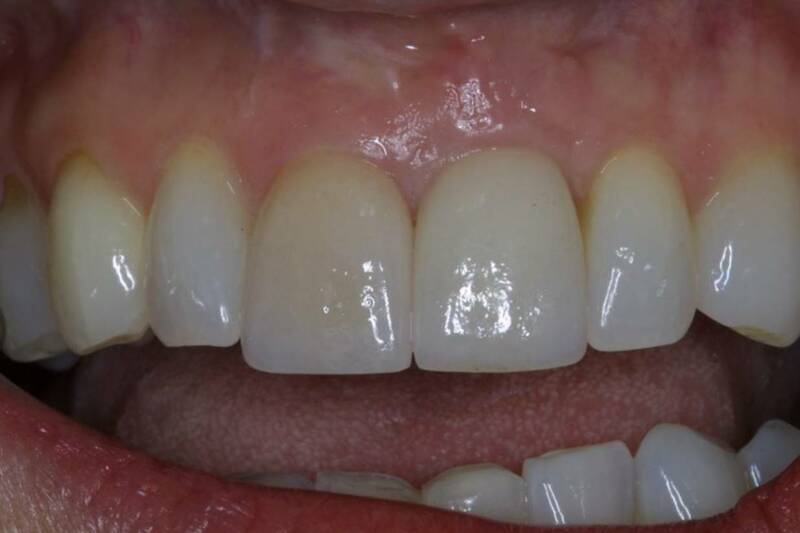 A dental implant was placed about 6 months later, and the final crown and restorations restored the smile.